The new web series released this past year, Body Complications, shot to success on YouTube and is now in production for its second season. The series revolves around two young women who are constantly in the wrong place at the wrong time. Starting with an accidental homicide on their hands, the series then evolves into a killing spree, these two somewhat clueless girls, embark on. The main characters, Lucy and Andie, are played by comedic actresses Calsey Langton and Lilly Dennis, who are a consistent source of laughter throughout the entire series. The two actresses play roommates with a bond so deep they cover up dead bodies for each other, lie to the police for each other and google the best ways to dispose of a body together. True friendship through and through. When you are watching the series, and yes you can watch the entire first season all at once, it kind of makes you feel like killing someone wouldn’t actually be that hard to do or even cover up, as these ladies execute it with such ease. Without having to use the word spoiler, I can safely tell you there is a new unexpected twist in every episode and you are never left without a cliff hanger. This and so much more has us all anxious for the next seasons release sometime this year. Body Complications, while not a show for the whole family, is a goodone to watch for tips on how to get away with murder and one that I highly recommend. 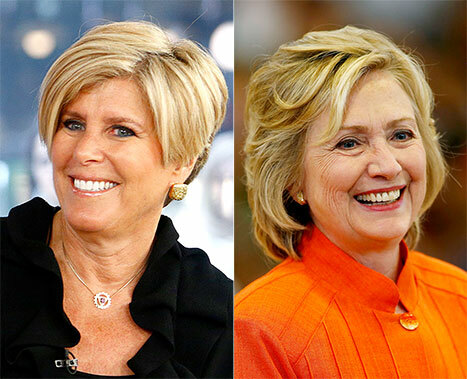 Suze Orman sat down with HuffPost Live to share her thoughts on Hillary Clinton’s bid for the presidency in 2016, and she’s a bit worried. The much discussed channel Bol News has finally started its test transmission. In a tweet shared on company’s official twitter account, Bol Network as encouraged all Pro-Pakistani Cable Operators to tune into their test transmission.